He's made of steel, has a rocket-powered backpack, a pointy nose, eyes that never move, and incredible strength. He is Gigantor, and he is the latest addition to the Mezco Toyz lineup. Originally developed as a weapon of war, Gigantor was later reprogrammed to act as a guardian of peace. Gigantor battles crime around the world, and clashes with the many villains who are always trying to steal or undermine the forces of good. Since his American debut in 1964 he has captured the hearts and minds of every child who wished they could control a giant flying robot to fight evil. Few characters have a half century of staying power, but Gigantor has proven himself to be bigger, faster, and stronger than the rest. Over the last five decades his popularity has grown exponentially but a dearth of product has left fans ravenous for new merchandise. Now, during his 50th anniversary in the US, Mezco Toyz will be releasing the Gigantor collectibles fans have been clamoring for. 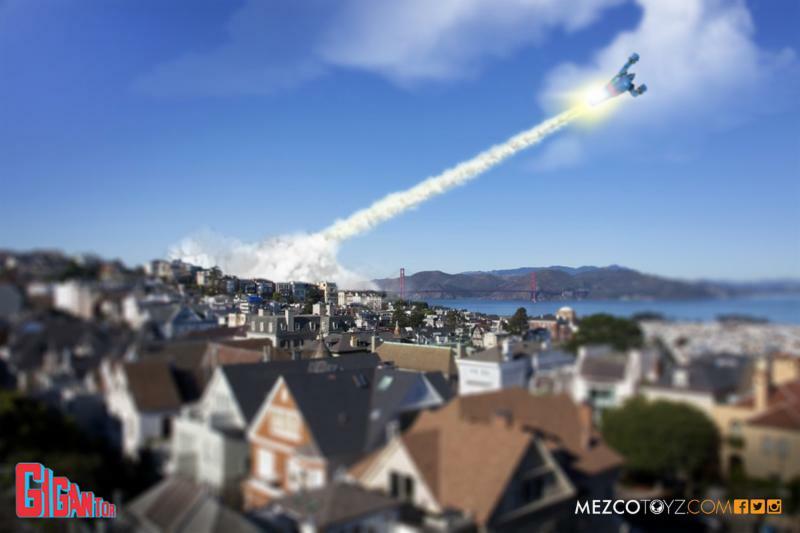 Look for Mezco's Gigantor products to hit stores in the 3rd quarter of 2015.